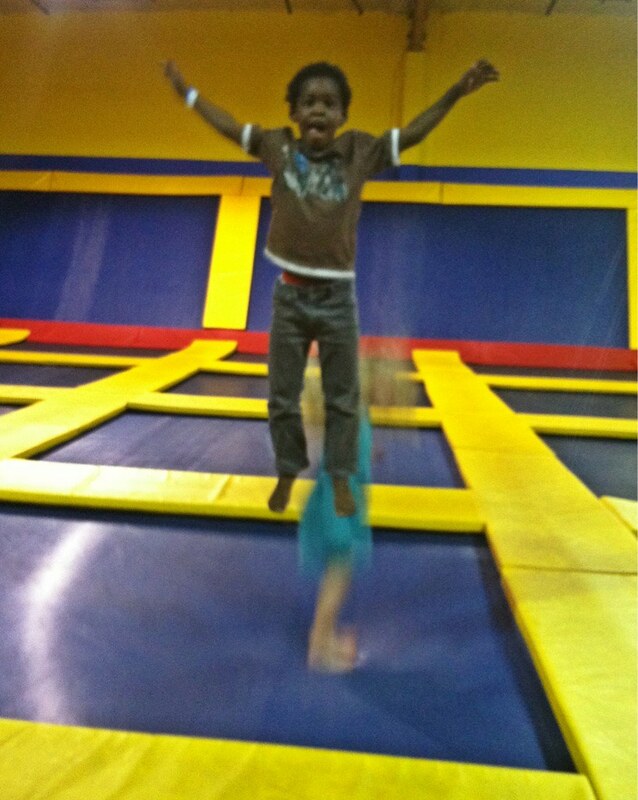 My oldest turned seven today. SEVEN! Man, that feels like a graduation away from “little kid” and into big kid territory. 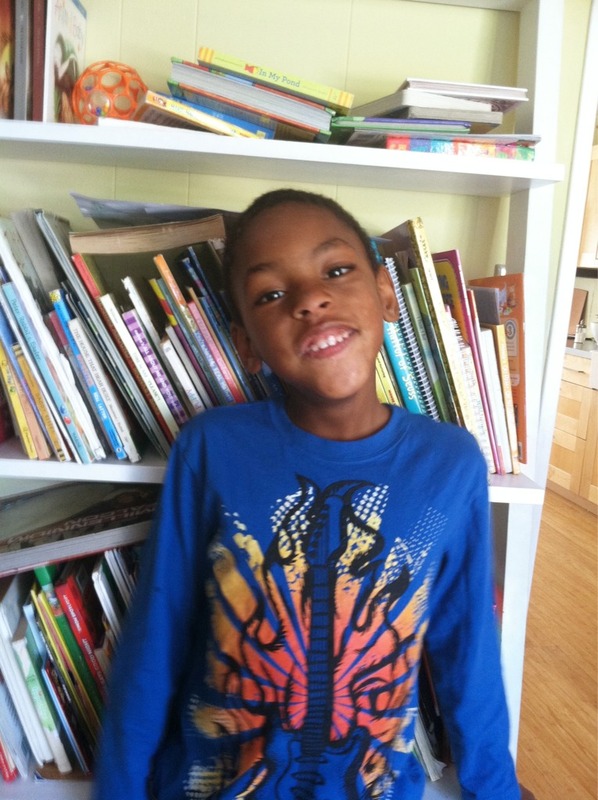 In lieu of a birthday party, Jafta’s wish for his birthday was to go to Knott’s Berry Farm and ride all of the roller coasters with no younger siblings around to cramp his style. So, last Monday Mark took Jafta and two friends to Knott’s and did just that. Jafta rode every ride with gusto . . . even the ones that went upside-down. He’s quite the thrill-seeker. 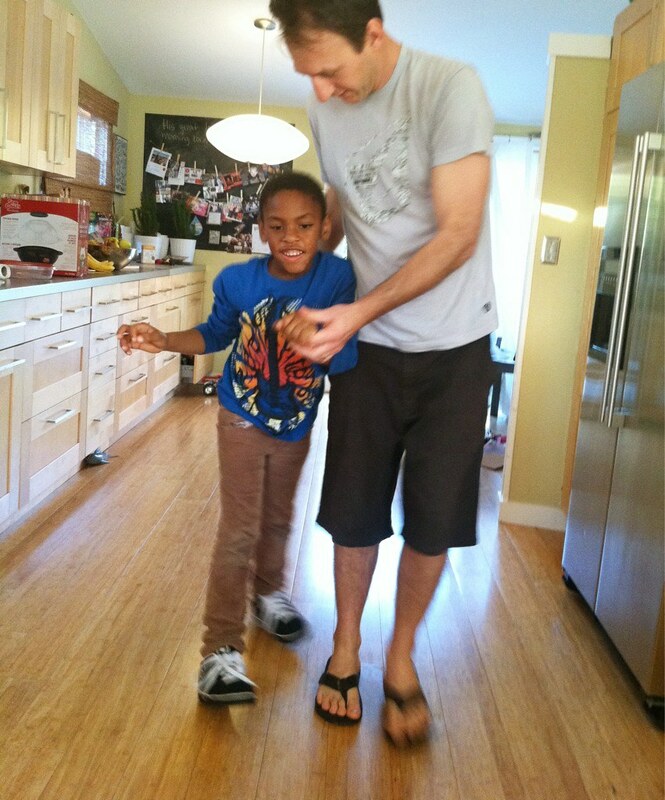 Jafta’s big birthday gift was a pair of Heely’s – those shoes with the wheels on the sole. I don’t think any of us realized the learning curve that would be involved. He was like a wobbly baby deer, trying to stand up. It was comical. Since we did the big birthday event several days before his real birthday, today was an inevitable let-down for his siblings, who hadn’t quite realized that his trip to Knott’s without them was the main event. It finally dawned on India today that she had not been invited to Jafta’s “birthday party”, and SHE WAS MAD. She spent a good hour in a huff, making explicit plans for her birthday that would not include Jafta, and then talking about what a mean boy Jafta was. I kept telling her that we were going to celebrate as a family at a restaurant, but Jafta’s decision to get sushi for dinner didn’t exactly quell her disappointment. 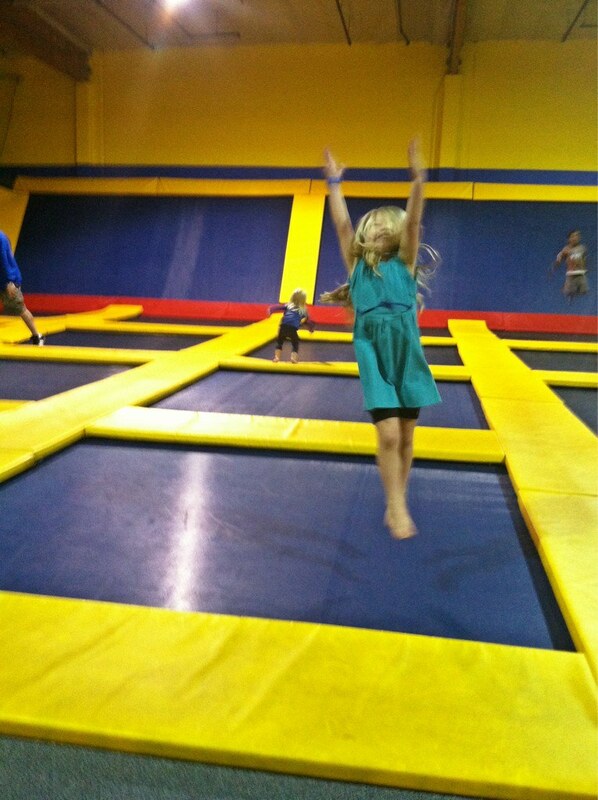 Finally, I caved and took the kids to a drop-in trampoline place, just to sort of fake a birthday party to keep the family peace. This is not the first time I’ve been bullied into doing more for a birthday by a sibling, and probably not the last. 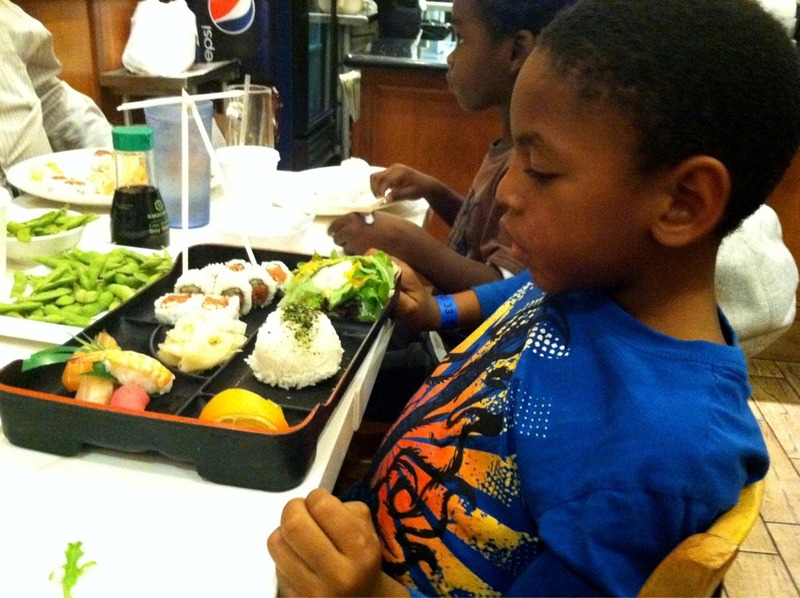 We ended the evening by going out to Jafta’s favorite restaurant – a sushi place down the street that knows him by name. I still can’t quite comprehend a child that chooses sushi over pizza, but he was thrilled with his bento box and extra ginger. Last year I interviewed Jafta about some of his favorite things, and I decided to do the same this year, too. He also shares some of his best advice for six-year-olds, now that he has more wisdom and experience. One of our birthday traditions is that we all give affirmations to the person of honor, and this morning as we went around the table, the recurring theme was Jafta’s kindness and compassion. I’m so proud of him and so grateful that he sets such a great example to his siblings as an thoughtful and loyal brother and friend. It’s such a blessing to be his mom.